NICVA has been delighted to participate in an internship programme operated jointly by Queen’s University and Santander. 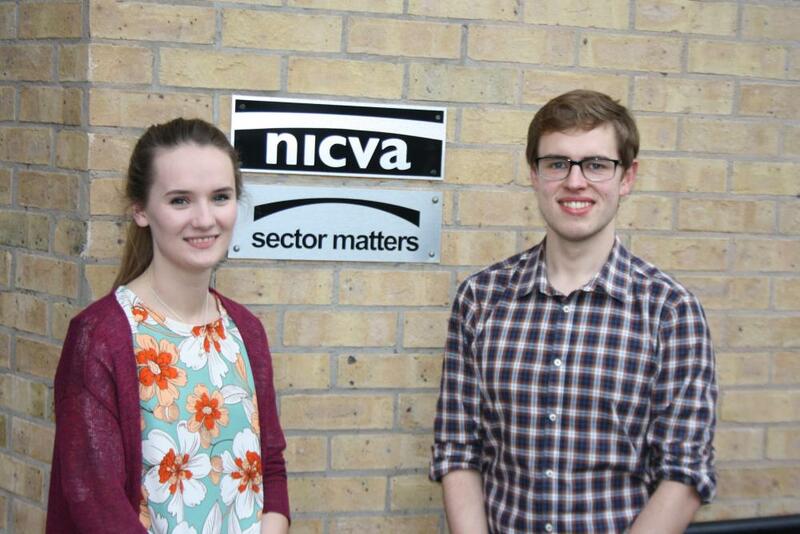 Through the programme NICVA has employed two Research Interns, Niall Robb and Lisa Irvine. Niall and Lisa have been employed at NICVA since July 2016 and have been involved in the delivery of NICVA’s new Faith Based Engagement project. Niall and Lisa’s main responsibilities have been developing a database of all faith based organisations, the first of its kind in Northern Ireland, and designing and disseminating a survey to these organisations. Through their analysis of the database, Niall and Lisa have already provided a detailed overview of what the faith sector in Northern Ireland looks like and they have shared this information with key stakeholders. As well as designing the faith survey, Niall and Lisa were involved in promoting the survey through a range of methods, analysing the survey data and reporting on the results. Whilst at NICVA, Niall and Lisa have had the opportunity to support other research projects, for example the 2016 Individual Giving survey and the Brexit Viewfinder. In addition, they have participated in and helped facilitate some of NICVA’s key policy and research events, such as the State of the Sector Launch and the Festival of Economics, and have attended Open Data training.